In the fall of 1995 I was eleven years old. I recall it was a Saturday, probably in September because it wasn't raining yet (I grew up in western Washington state and it rains pretty much all the time from October through June). My mom had gone somewhere all dressed up. After a few hours she came back home energized and excited. Weird. I recall my dad meeting her in the kitchen, kissing her hello and telling her he was glad she was home, and then asking her how it was. "What was?" I thought. Then she talked to him, animatedly, for some time. I didn't really pay any attention and I don't remember what she told him. Years later I learned that that day was a Saturday. In fact, it was Saturday, September 23, 1995 and my mom had gone to a special meeting held for all of the women in our church. At that meeting, what I consider to be an inspired document, was shared with the women and then published for all of the members of the church and the entire world to see. 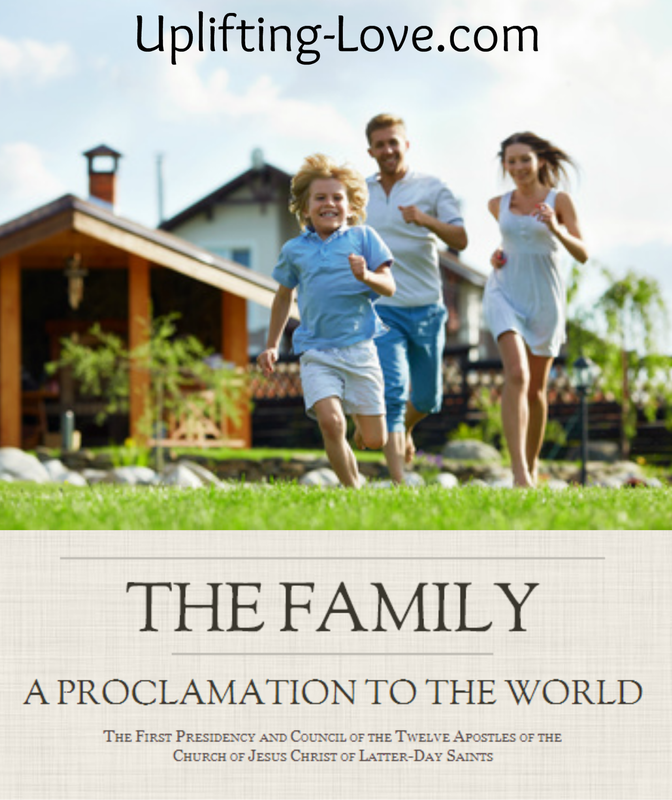 It is called "The Family: A Proclamation to the World." With all of the friends and relatives that I have seen over the last year struggle in their families and in their marriages over the last few days this proclamation has come to my mind again and again. I believe that it contains the principles for happy family life on earth for all of the earth. I would like to share it with you today. The proclamation can also be found here, which is where I copied the text from. So, now that you've read it, do you agree? Why or why not? Share your opinion in the comments. I'll be reading them and responding to them. Divorce: Whose fault is it?